You would be amazed at the difference that 1 traffic ticket can make in your car insurance rates in Toronto, even a minor ticket. And minor tickets, like failing to have your insurance card with you, seat belt, using a cell phone (handheld device) while driving, speeding 10 km over the limit all have the same impact. Even if a ticket does not have any demerit points, it is still reviewed by the insurance companies. But a little history first. 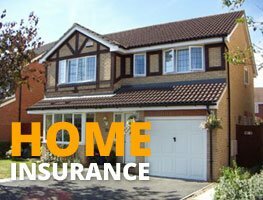 Most of the people working in our office have been insurance brokers or agents in the Greater Toronto area (GTA) for over 20 years. You may have received traffic tickets in the past and don’t remember your car insurance rates increasing. It was only a few years ago that most car insurance companies in Ontario did not charge extra for having 1 minor ticket. Some insurers, like the former Dominion of Canada (now Travelers Canada) allowed good drivers 2 minor tickets without having any impact on their premiums. There’s been a gradual shift or change in the way your car insurance premiums are calculated in the last 5 years. Intact insurance was one of the first Ontario insurers to introduce this change. Since that time. almost every Ontario car insurance company has started fine tuning their pricing and rewarding the most profitable drivers with better insurance rates. Initially, some insurance companies introduced the changes by adding a surcharge of 10% for minor tickets. Other companies allowed a “10% discount” for drivers with no minor convictions. Calling it a 10% discount sounds better from a marketing perspective, but the result was the same. Clients with minor traffic convictions started paying more money for their insurance. But the changes to the pricing structure didn’t stop here. When an insurer writes on a customers policy “10% surcharge for minor ticket”, or “15% discount for conviction free”, its still easy for a policyholder to understand why their automobile insurance price has changed. They may not like it, but at least it’s understandable. In the last year or two, several car insurance companies introduced more of a computerized pricing system into Ontario car insurance. It means that having 1 minor ticket may affect your price by $300 a year, or by $1000 a year. How can that be possible ? How does it work ? We don’t know exactly how it works, which is the main problem that occurs when trying to explain pricing changes to a customer. 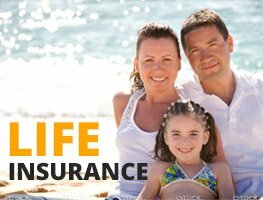 Our understanding is that many car insurance companies like Travelers Canada, Intact Insurance, SGI Canada use a combination of factors to determine your price. Factors such as age of the driver, when they were licenced in Canada, how old was the car when you purchased it, are combined with your accident and ticket history to produce your insurance rate. So it’s possible that a 45 year old female driver, licenced in Canada at age 18, who purchased her 2013 Honda Accord brand new, has one minor ticket, will pay LESS that the same driver who purchased the car when it was a used, 4 year old vehicle. There are still some Ontario car insurance companies that are more transparent in the way having 1 minor traffic ticket will impact your car insurance rates. For example, Wawanesa Insurance & Unica Insurance apply a 15% discount for drivers that are conviction free. 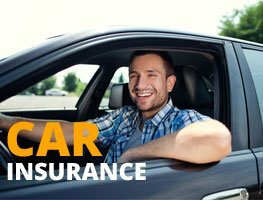 The best way to see how a minor traffic ticket will impact your insurance rate is to visit our website, www.dmwinsuranceltd.com for an instant online car insurance quote. Enter your information with no tickets, the quote will be displayed, and you can amend your information in the quote to add 1 minor ticket. You can see how it will impact your car insurance rate. NOTE: Sometimes even changing the date of the ticket will impact your rate – for example a minor conviction in the past year may cost you more on your car insurance than a minor conviction from 2 1/2 years ago.